In a world where people are obsessed with fitness and health, the companies are booming with products like a fitness tracker for good. Whether you’re the crazy guy from gym whose life revolves around being healthy and fit or just a casual person who’s out for a walk in the park, we all need a fitness tracker to keep records of our workout and training sessions. The post discusses the best fitness tracker for ankles. 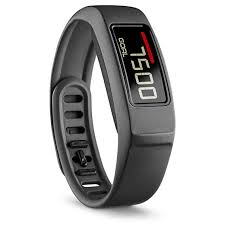 Basically all those who are wondering what exactly a fitness tracker is, it’s a device that looks like a watch or a bracelet and it records your heart rate, your steps, your general levels of activity and all this information is then used to calculate and track a range of other things like how many calories you have burned while working out. Devices like pedometer and heart rate monitor also track their respective activities but an all-in-one device that can calculate a variety of things makes it very compelling. It is 2019 and if we still have to wear the band and bracelets during our workout on our wrist and keep getting disturbed by it, what good is the invention right? Our wrists are already crowded with smartwatches, expensive bracelets, and other stuff, we don’t want to overlook the fact that we need something different now. These new fitness trackers ditch the wrists and fit on your ankles instead. COOL, RIGHT? It is actually surprising to see something like this wasn’t created sooner when most of our sports and workout like running, cycling, exercising involves are legs and yet our ankles still remain unoccupied. The smartwatches have not completely swallowed up the use of fitness tracker yet. Sure, Apply and Android watches are breaking the trends with very little thing on it but these fitness trackers still remain the number#1 choice. We will list here some of the best fitness trackers for ankles instead of wrists to make it even more convenient for you. For all those looking to start a newer, healthier lifestyle and looking for a fitness tracker to track their performance level, we have researched and put together the best fitness trackers for ankles. So, before we dive into the best Fitness Trackers, we will first give you an overview of the ankle band which has revolutionized the fitness industry. This product specifically has changed the game for the sports enthusiast and people who love to exercise. 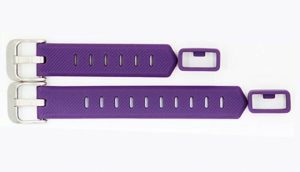 All of the fitness trackers are designed to go on your wrist so they created an ankle band compatible with the most renowned companies. The ankle band was designed because of the extra benefits that it comes with. There isn’t anything more comfortable than this band. You won’t have to strap silicone anymore; this step counter is made from soft premium neoprene. It is designed to adapt to any lifestyle. You can be a construction worker or a doctor and this ankle band would just be perfect for you. It comes in 3 sizes according to the circumference of your ankle. So, don’t you worry about the size. It gives more accurate results for the exercise which are solely for leg like running, cycling etc. This product is compatible with a variety of fitness tracker so you don’t have to worry about that either. This band comes in one of the best fitness trackers for ankles. 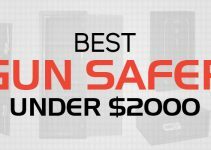 It is compatible with one of the biggest companies like Fitbit and Moov. It gives you more accurate step counts than the wrist band. Very soft and comfortable band. It produces no rash no matter how long it has been worn for. It comes as a single piece band which syncs with Fitbit or Mooz. 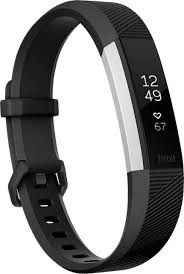 When we talk about fitness trackers, Fitbit is without a doubt the number 1 brand to go to. This fitness tracker brings you fitness and fashion via Fitbit Alta HR. 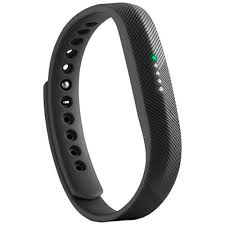 Not only can it connect with the step counter but it itself comes with a variety of bands for every occasion. It comes with a very slimming design and a clear display that allows you to access to your tracker very easily. It tracks the quality and duration of your sleep and comes with a silent alarm to wake you up peacefully. It has a continuous heart rate monitoring system. It is rain, sweat and splash proof. It does not have a GPS. 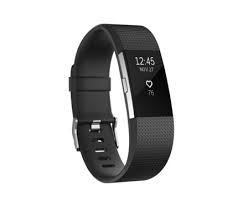 You will love this creation of Fitbit and will easily make your fitness partner because it has all the functionalities you need for your fitness and health routine daily. In addition, if you are an outdoor person and you love traveling and roaming around, this one is perfect for you. It tracks all the activities of your day like your steps, distance traveled, calories burned and active minutes. The display screen shows your daily stats and time of the day. It monitors how long and how well you sleep. Your activities will automatically sync to whatever the device is connected with it. It lets you enjoy 14 days before you have to recharge it. If you have used the first version for Garmin Vivo fit, you will definitely be impressed and very happy with Garmin Vivo fit 2. it has all the functions you only wished were present in the Garmin Vivofit1. It comes with amazing battery life which means you won’t have to worry about charging it again and again. It is water resistant which means you can wear it while you shower or even when swimming. It has a very accurate step counting mechanism. Connects with the step counter band. It has a ‘Time to move’ feature which reminds you to exercise and move when you have been sitting for very long. It does not allow the records to sync with various devices. Fitbit Flex 2 has decided to take a plunge and created this monster. Fitbit Flex 2 is powerful, smart and effective and ready to compete for the rest of fitness trackers. You can customize it with interchangeable bands. It counts your steps and heart rate. It is waterproof and very comfortable to wear. It has a very fiddly clasp. 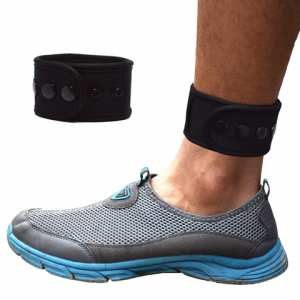 These ankle fitness trackers sound absolutely mesmerizing and amazing but they all come with their drawbacks. You won’t be able to look at the screen easily since it’s on the ankle instead of the wrist. 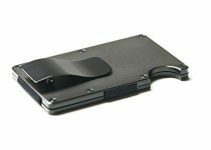 Sleep tracking will not work as well because we move our legs a lot while we sleep. These best fitness trackers for ankles are very helpful for your fitness and health goals and when deciding to buy one, you have to keep in mind a lot of its specifications. One design may excel in functions but may not be very impressive in design. We hope the list above you will help you choose your favorite fitness tracker with an all-time best step counter.